Princess Bridal Prom Rhinestone Crystal Flower Hair Band Tiara Headband Wedding. Due to the difference between different monitors, the picture may not reflect the actual color of the item. Best Silver Plated Double Circle Endless Hoop Rings Lip Nose Ear Studs Earrings. Alloy,steel,cotton. Cag e: 26 16mm=1.03 0.66". Inside fit: ≤8mm. You may also like. 18K Gold Filled. Here you will find thehighest quality jewelry inlow price. Size:Chain length: First /Second layer:39/47.5cm 5cm. Material: Alloy Acrylic. France Rate of item arrived 2% 10% 20% 40% 20% 8%. Australia Rate of item arrived 7% 30% 30% 20% 12% 1%. United Kingdom Rate of item arrived 10% 70% 10% 6% 3.9% 0.1%. Size:Chain length: First /Second/Third layer:39/42.5/52.5.5cm 5cm. others Rate of item arrived 1% 3% 20% 35% 30% 11%. Brazil Rate of item arrived 1% 4% 20% 40% 25% 10%. Russia Rate of item arrived 1% 5% 25% 35% 26% 8%. 1 x Choker. We will reply you ASAP. 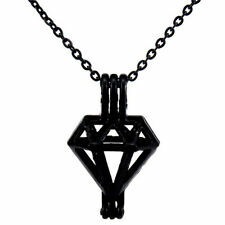 The unique rhombus shape is very trendy and pretty. - This pendant is made of copper material. - The pendant is adjustable, you can open it and put things inside such as wool, stone,diamond and so on. 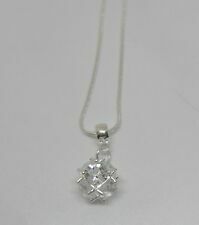 Silver 925 Blue Artificial Diamond Pendant Charms For Jewelry DIY Necklace Gift. Material: 925 Silver. Size app: Pendant Dia 0.9cm,Thickness 0.5cm. Quantity: 1pc(No contain Chain). Your kind understanding and patience will be highly appreciated. 1 Piece Necklace. - Material: stainless steel. - Chain length: Approx. - Size: Approx. Material: Gold Plated and Zircon. Chain Length:89cm. The received product will only display a color of light. For example, by absorbing bright light such as sunlight or light. (Size：9x7mm. Setting：Prong,Pave Setting. Shape：Oval. My jeweler has over 10 years of experience in handling gem stones. 1) Ring Resizing. 2) Ring Redesign. ★Center Stone：No Main Stone. 6) Custom make your own ring. ★ Wedding Jewellery (145). Stone Type: Simulated Diamond(Man-made). ★ Stainless Steel (173). Qty: 1 (chain & pendant). We have a vision of bringing high-quality and contemporary jewellery at affordable prices to everyone. 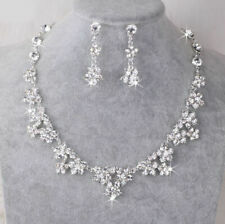 1 Row Simulated Diamond Iced Men Lady Bling Tennis Chain HipHop Necklace 30"
The necklace chain is fashion and shinning. 1 Piece Chain Necklace. - Material: Alloy, Rhinestone. 1 Piece Necklace. - Material: stainless steel. - Chain length: Approx. Features: Three Layers Chain. Can be a nice match for jeans wear or evening dress! We will try our best to reduce the risk of the custom duties. We will do our best to help you to resolve your problems.